Aboriginal trackers worked at Silverton police station from January 1884 until October 1890. They were initially based in a small timber and iron structure that also served as the gaol. 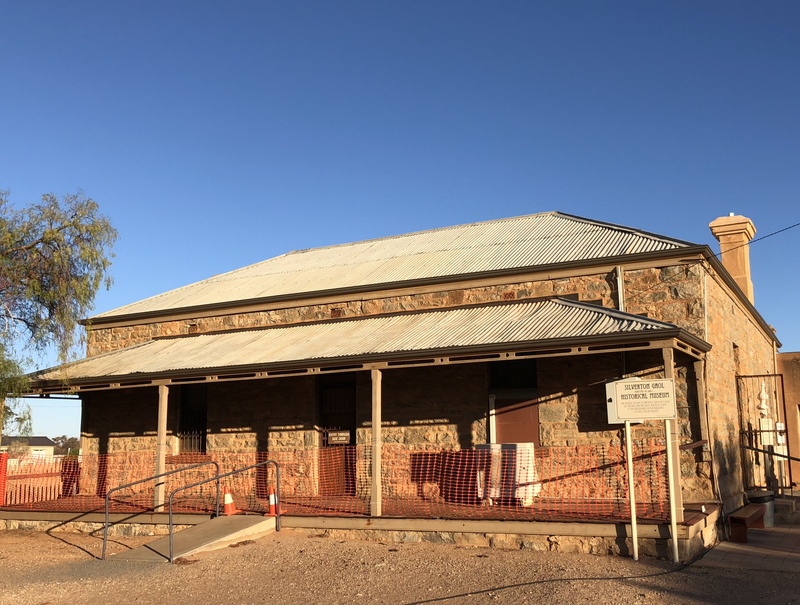 The more substantial police station and gaol shown in the photograph were completed in 1889, only one year before the last tracker departed Silverton. The gaol itself was only used until 1892, by which time the Silverton population was in decline. The police station and gaol are now the local museum.See Police Salary Registers, 1884-1890; Silverton by R.H.B. Kearns, published by the Broken Hill Historical Society, 1972. The town was surveyed in 1883 and the population initially boomed thanks to the discovery of nearby lodes of silver ore, reaching a peak of 3,000 in the mid-1880s. Unsurprisingly, trackers were sometimes asked to investigate thefts of ore. In August 1886, Tracker Frank pursued a dray packed with over 150kg of stolen silver. The wheel ruts led Frank to the Umberumberka Hotel several kilometres west of Silverton where a suspect known as “Bat-hole Bob” was arrested.Maitland Mercury and Hunter River General Advertiser 10 August 1886: 5. 1. ↑ See Police Salary Registers, 1884-1890; Silverton by R.H.B. Kearns, published by the Broken Hill Historical Society, 1972. 2. ↑ Maitland Mercury and Hunter River General Advertiser 10 August 1886: 5.